The Netherlands is located in the delta of three major European rivers. 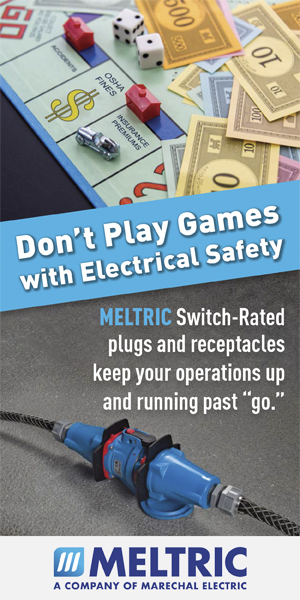 Water-related issues such as flooding are always a risk. After a serious warning in 1995, when 250,000 people had to be evacuated due to a dangerously high water level, the national program “Room for the River” came about. A safer river area as well as an attractive living environment. With these objectives in mind, more than 30 water storage facilities have been installed in the Netherlands to handle excess river water when water levels are high. Remarkable in this is the Overdiepse Polder, where a unique project to create raised islands—or terps—was undertaken. 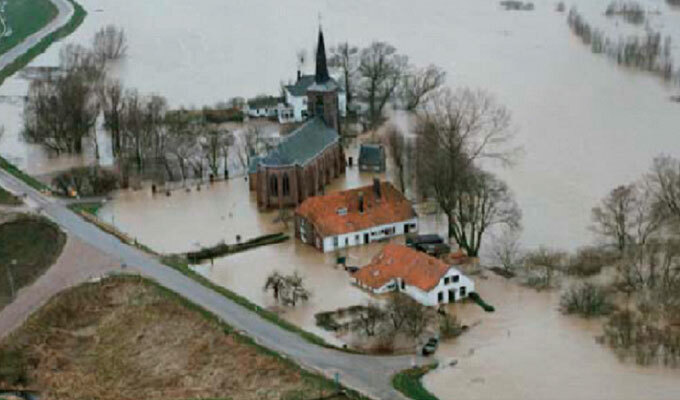 When water levels of the River Bergsche Maas are extremely high, this poses a threat to cities such as Den Bosch and Waalwijk. A storage area of 1375 acres named Overdiepse Polder accommodates 2.4 billion gallons of water as a temporary storage. Together with the agricultural residents, a “terp plan” was developed so that the residents can live safely in the water storage area, even when water levels are high. In 2011, construction began on a new four-mile-long high dike on the southern end of the polder. Eight terps with new farms were built against the new dike, so the farmers now have a safe place to live. Each terp is approximately five acres in size, twenty feet high and has a volume of 4.2 million cubic feet of sand and clay. In 2014, the old farms were ready to be demolished, and the works began to lower the river dike on the north end and to place a pumping station. A year later, a new lock could be commissioned—including a large setup location for mobile flood control pumps. The project was completed following a European tender to deliver four mobile pump systems. In the middle of last year, BBA Pumps BV was officially awarded the contract and delivery took place in early March 2018. 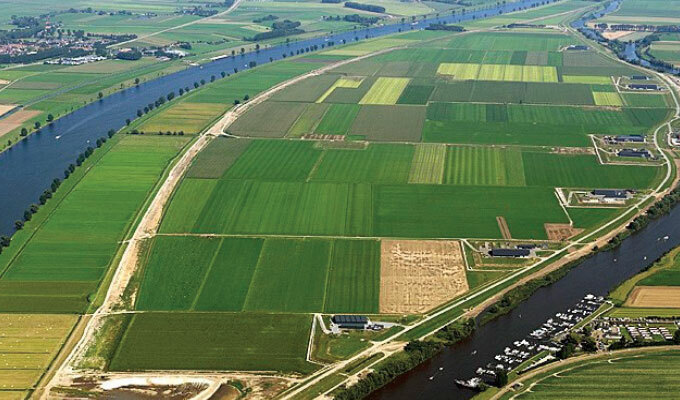 On average, river water flows into the polder once every twenty-five years. This lowers the water level by 11 inches. This means that the local residents of villages and towns remain protected against upstream flooding. In conjunction with the other “Room for the River” projects, this enhances the safety of over four million people within the river area. When the polder is flooded and the farmers need to keep their livestock inside, the area must be dry again within six weeks of the flooding. As soon as the river’s water level starts to drop, the lock is opened enabling some of the water in the polder to flow back. Once the water levels are equal, the lock is closed again. Subsequently, four mobile emergency pumps with a total pump capacity of 90,000 gallons per minute are installed at the setup location. This is how the polder’s excess water is pumped back into the river. Finally, the remaining water is drained through a pumping station in the river dike, and the polder is ready again for agricultural use. The mobile pumping systems are managed by the Brabant Delta Water Board. In times of flooding, speed is of the essence; that has been a central condition when the set of tender requirements were drafted. 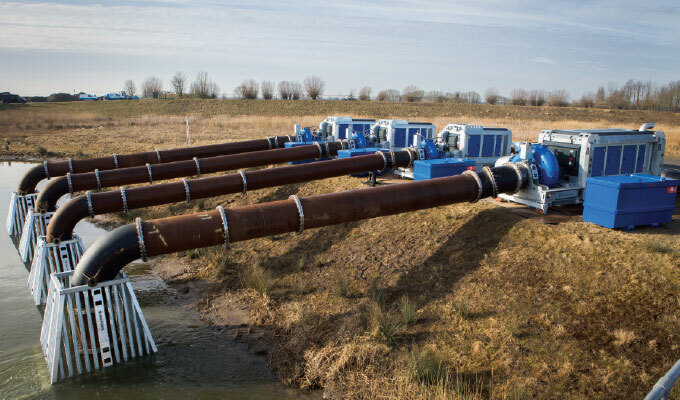 The diesel-driven pumps are equipped with a “pull-up frame” so their vehicles can quickly collect them from the storage and deliver them into the polder. Where possible, the pipework is equipped with quick action couplings so no time is lost during installation. After two weeks of pumping, over 1.3 billion gallons of water will have been removed from the polder. During construction of the polder as well as during the pumps site acceptance test, interest was high, from both the Netherlands and internationally in this unique, typically Dutch project. 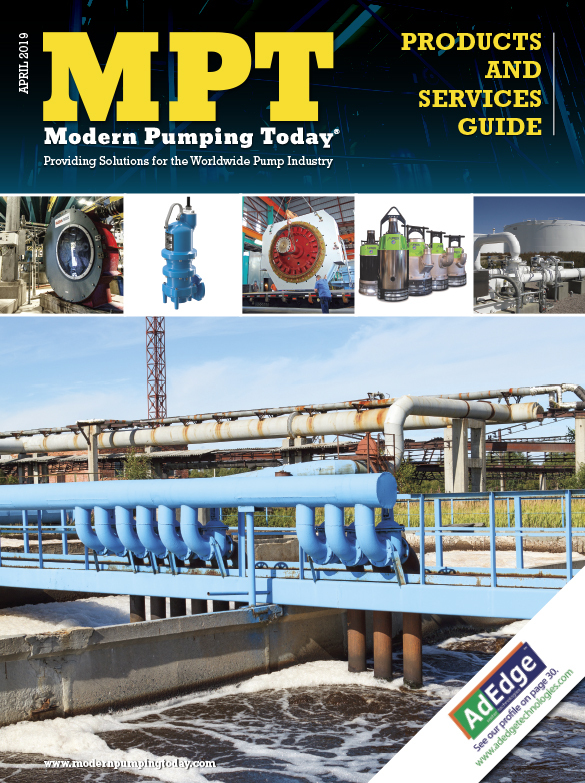 For more than sixty years, BBA Pumps has been the global leader in the manufacture of mobile pumps and piping systems. The products are designed for reliable use in a wide range of challenging environments: wellpoint dewatering, sewer bypassing, flood control, construction, and general purpose applications as delivered through the pump rental companies. BBA Pumps is ISO 9001, ISO 14001 certified. For more information, visit www.bbapumpsusa.com.